We are so happy and proud to announce the launch of Bag-all in the Middle East/GCC region! WE have an awesome new partner! Everyone, please meet Sarah Al AbdulKareem, our new partner in the GCC region! Sarah is a Kuwaiti national, hence the new Bag-all main office for this region is located in Kuwait. This is Sarah and Jennifer Jansch, CEO and founder of Bag-all, in Kuwait before the launch party. As usual Bag-alls Vice President Julia Arhammar came along to help set up the launch event! There are so many cool places in Kuwait. This whole industrial area, suwaikh, is booming with concept cafes and restaurants, as well as galleries and shops. 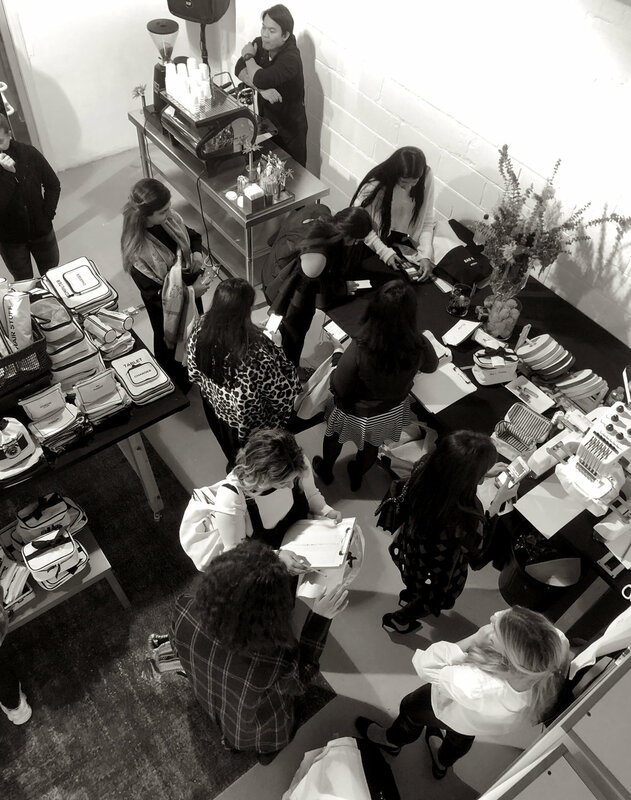 the Print room was the venue for the Bag-all event! Beautiful and very popular influencer Dana Al Tuwarish @daneeda_t came by to say hello along with so many more wonderful kuwaiti people! Monogramming machine was running hot all evening! also involved in Bag-all GCC is Sarahs husband Mohammed and Shanice!